Open diamond grid pattern for nonslip. Anti-slip top surface for a safe footing. 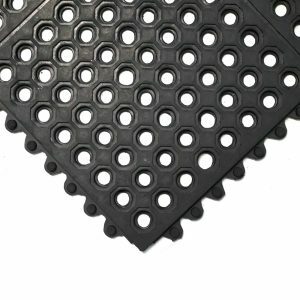 Drainage floor mats with specially designed underside studs have exceptional water drainage properties. Our drainage floor mats have been specially designed with underside studs, providing the mats with exceptional water drainage properties to prevent accidents in wet environments. 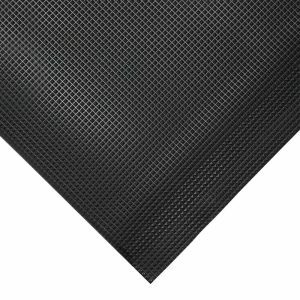 The design of the mat features open construction drainage holes, which enable debris or liquids to pass freely through the mat, so there are no obstructions on the mats surface. 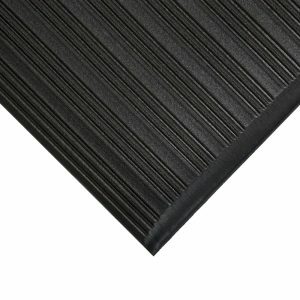 The top surface is also anti slip, which provides a safe surface to stand or walkover. 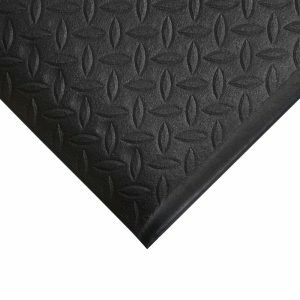 Diamond Grid has been named after its appearance, you’ll notice the drainage floor mats have a diamond grid pattern, this clever design helps to prevent slips. Common applications for drainage floor mats include catering, leisure and food processing safety flooring. Its ideal for these types of environment due to being manufactured from flexible PVC, which is hygienic and does not allow the growth of bacteria. This is a versatile mat which is hard wearing, easily cleaned and can be rolled up and moved to another location. There are three colour options available to suit your requirements; blue, grey and orange. See our full range of Workplace Matting.